Egypt-Japan University of Science and Technology offers opportunities of advanced study and academic research to Graduate students. The program involves Master’s (two years) and Doctoral (three years) leading to the corresponding degrees (M.Sc. and Ph.D.). Accepted applicants to the program will be enrolled in the next fall 2018 semester, which will begin on September 23, 2018. Lectures and instructions for research are given generally in English. • Applicant must be a holder of nationality of a country in Africa except Egypt. •Applicant must be a holder of nationality of Iraq, Jordon, Yemen or a country in Africa except Egypt where JICA/JOCV office and the embassy of Egypt are located or accredited to. 2 Age • M.Sc. Applicants should be under 30 years on September 1, 2018. 3 Educational Background and Records • M.Sc. applicants: should have bachelor degree of engineering with GPA ≥ 3 out of 4 / Description ≥ very good/ classification ≥ second class upper or equivalent to the mentioned before. 5 E-JUST Interview Applicants must pass successfully the interview; the applicant minimum acceptance percentage of is 60% at the interview. Includes research proposal presentation and discussion and must measure professional skills, specialization knowledge, IT skills, and teamwork skills. Mechatronics and Robotics, Computers and Automatic control, Power Electronics, Mechanical Engineering, Production Engineering and Mechanical Design. Students are expected to have good knowledge of Control Engineering, Electronics and Programming. Industrial Engineering – Production Engineering – Manufacturing Engineering – Mechanical Engineering – Mechanical Design Engineering – Electrical Communication and Power engineering – Computer Science – Civil Engineering – Transportation Engineering. Metallurgy, Materials Science and Engineering, Mechanical Engineering, Production Engineering, Chemical Engineering, Textile Engineering, Nuclear Engineering, Electrical Engineering, Civil Engineering, other related Engineering discipline. Mechanical Power Engineering, Energy Engineering, Electrical Engineering and Electronics Engineering. 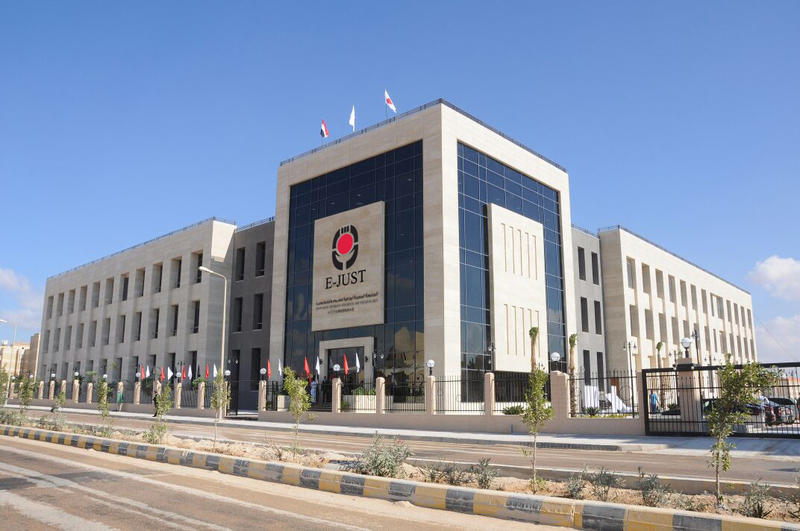 Civil Engineering / Environmental Engineering / Chemical Engineering only in case of that the applicants’ research area is related to E-JUST Environmental Engineering department. Chemical and Petrochemicals Engineering, Material Science and Engineering, Mechanical Engineering and Metallurgy, other related disciplines.